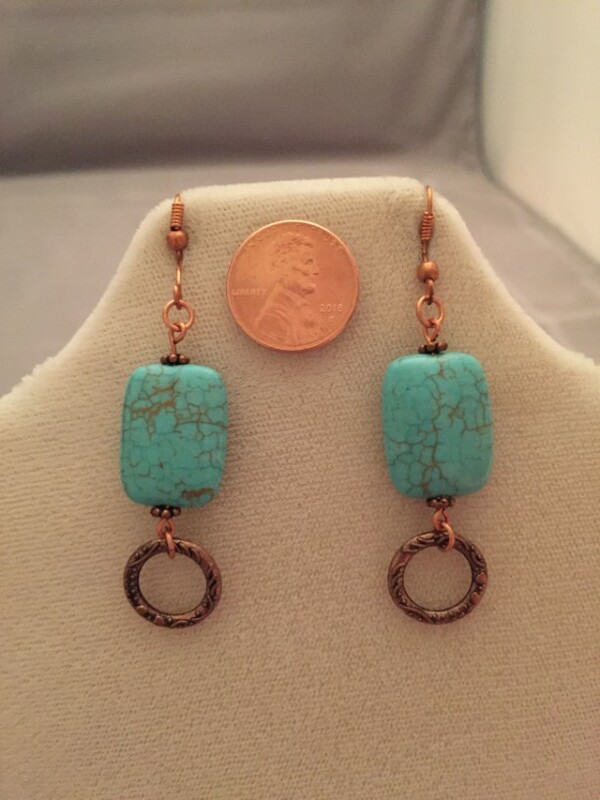 These earrings were created out of a love for the combination of copper and turquoise, they compliment each other so well. The turquoise colored stones are actually a very interesting form of howlite. I added the small copper hoops because hoop earrings are nice, but sometimes too big! Of course everyone has different tastes, but I just can't get over how good copper and turquoise look together!